Made of crystalline bumper on the edges and air cushion shock absorption technology on the corners. Slim and ultra sleek case adds almost zero weight to your phone. 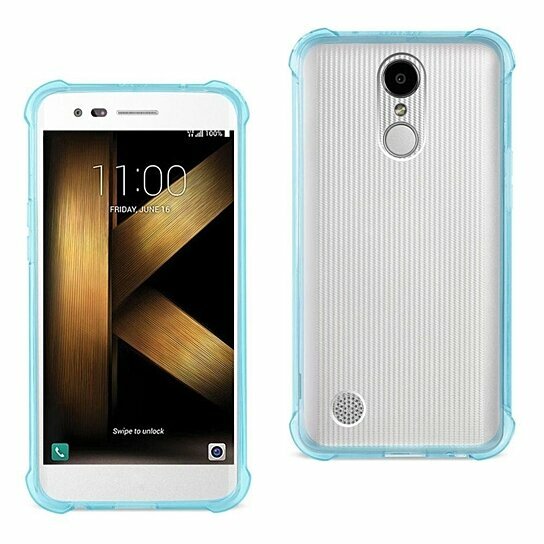 Incredibly clear case, highlights the design of your phone. Provides protection against daily wear and tear, scratches, marks and scrapes. Hugs every corner of your Phone and allows you to get a better grip. Precise cutouts for headphone jack, charger and other functional ports. This phone model is also known as LG K20 V/ VS501/ TP260/ K20 Plus. Condition : This item is brand new, unopened and sealed in its original factory packaging.